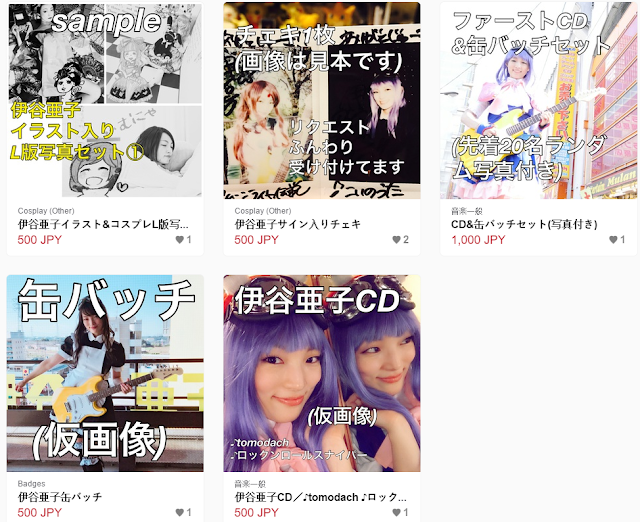 In the interview that I am sure you have read, the cosplayer idol Ako Itani told us that we could buy her work, but we lacked an important piece of info, where. I am glad to tell you that I've got an answer. Ako Itani has an online shop where you can buy her CDs. We can support her sharing her shop and, of course, buying her awesome music. The CDs you can buy at her shop. This is a sample of her music, if you need a reminder of how cool Ako Itani is.